Hit the rib fashion trend on the head in these shorts girl! 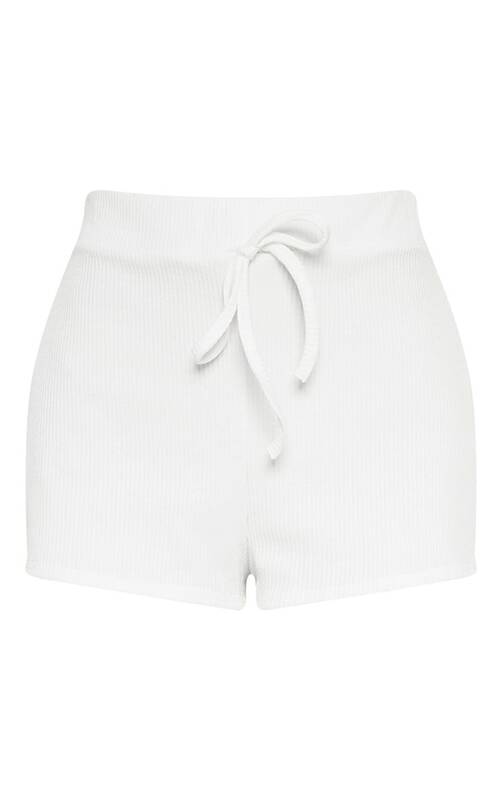 Featuring a cream rib material, tie drawstring detail and high waist fit. We love these shorts styled with the matching long sleeve rib crop top for an off-duty holiday style.